Sorry to see that you are experiencing issues in importing forms from Adobe to JotForm. 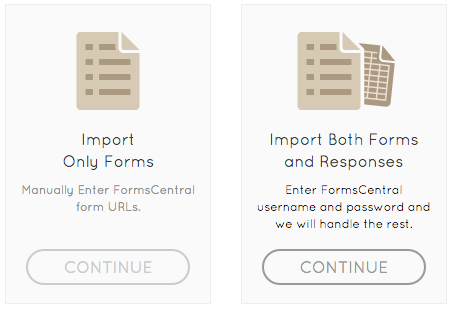 Do you see any error message while trying to import the forms? You may want to try our new release of the Import tool that can migrate your adobe forms and responses to JotForm in a single step. Please go through the blog post below with step by step instructions to migrate from adobe forms to JotForm. Also, please try clearing the browser cache and then try importing the forms or with a different browser. If the issue still persists, please let us know. We are more than happy to help you with.